In addition to our work in the Bahamas the Wild Dolphin Project has a US permit that allows us to do basic photo-ID work with dolphins off the coast of South Florida. Despite several attempts to survey offshore of this winter, wind and rough seas have hindered our ability to find animals. So far this winter we saw little more than a few seagulls and one lone hammerhead at the surface. A hammerhead shark cruises at the surface off the coast. Their “hammer-head” is called a cephalofoil. With a break in the weather last week, we took advantage of the calm seas and sunny sky to get out of the office and take another field day. We headed out of the Palm Beach inlet and within 30 minutes were greeted by a group of over 40 spotted dolphins (Stenella frontalis). Finally! It was a mix of adults, juveniles, and mom/calf pairs. They were slowly traveling south, and we followed behind to take photographs, while also recording environmental information, including depth and location. 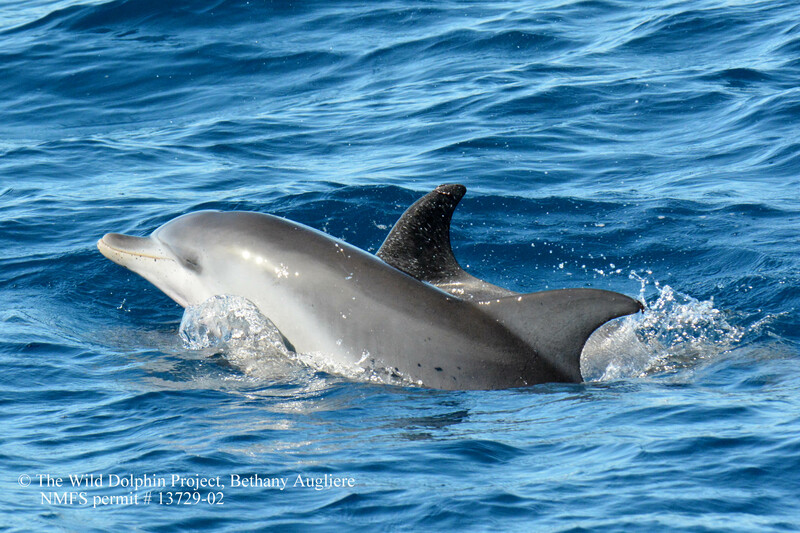 Eventually, after finishing up with data collection we left the group to continue searching for either a different group of spotteds or bottlenose dolphins. 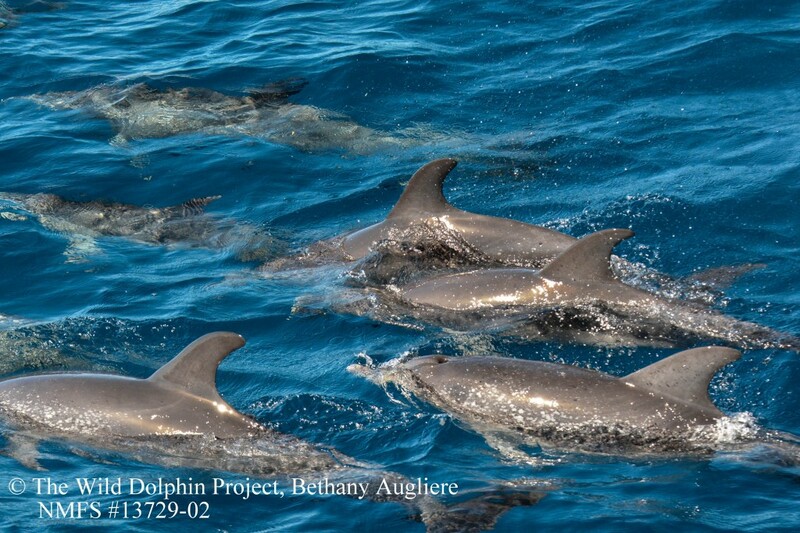 A group of 40+ spotted dolphins (Stenella frontalis) slowly traveling south along the Florida coast. A young spotted dolphin surfaces to breathe. That morning before even leaving the dock, myself and Captain Pete were chatting about how we’d both like to see a leatherback. Neither of us had ever seen one in the water and leatherback nesting season had started. As we cruised the coastline, keeping watch for small fins at the surface, Captain Pete noticed something odd – an overturned dingy or small whale perhaps? Actually, it was a huge leatherback sea turtle- lucky us! Leatherbacks (Dermochelys coriacea) are the largest of all living turtles, reaching up to 7 ft and 1500 lbs. They nest on Florida beaches, with peak season around April-May, but sometimes there are a few early season nesters in February. “Their migrations are remarkable. These organisms travel thousands of miles from foraging grounds to nesting grounds fueled by very energy dilute prey items, such as jellyfish “ states Dr. Justin Perrault, a graduate of Florida Atlantic University and current sea turtle biologist at Mote http://www.eta-i.org/cialis.html Marine Laboratory in Sarasota, Florida. A leatherback sea turtle hatchling (Dermochelys coriacea) emerges from the nest, roughly 55-60 days after the nest was laid. Perhaps we saw a female, who would later that night be crawling on the beach to lay her eggs. Leatherbacks have the highest reproductive output in comparison to other reptiles. They lay around 80 eggs per clutch, and around 6-9 clutches of eggs per season. 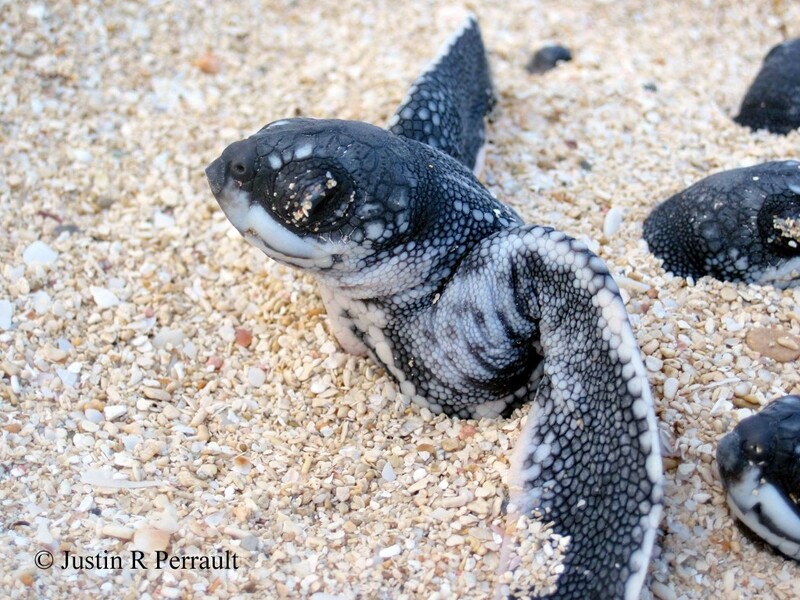 It is unknown where leatherback hatchlings go after entering the ocean ( I wonder…). After a few breaths, it dove back down (of course, before I could snap a photo) and we continued surveying for dolphins. 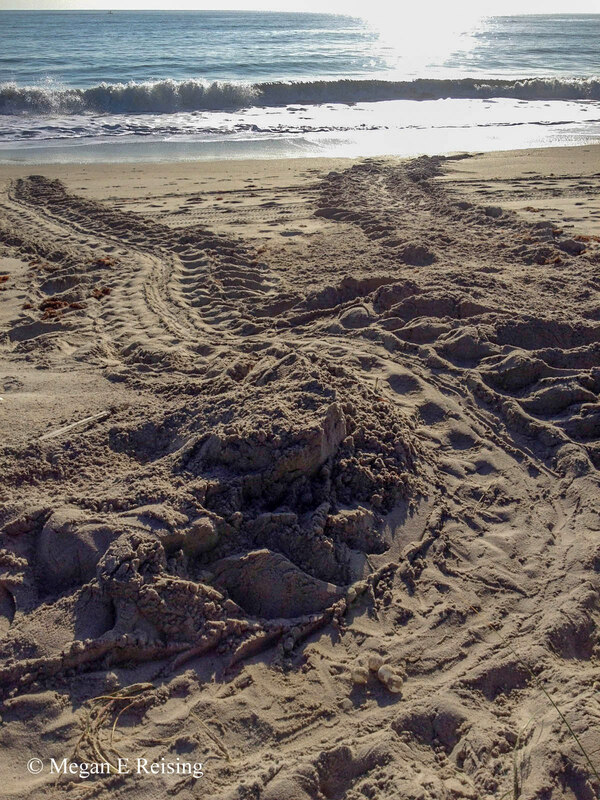 A female leatherback nest crawl at Hutchinson Island, FL. Nests are marked off to determine the effects of beach renourishment on sea turtle nesting levels and reproductive success. Later that day we ran into the same group of spotted dolphins (based on some recognizable fins) as well as a smaller group of bottlenose dolphins (Tursiops truncatus). We found the spotteds a couple miles offshore in about 80 feet of water, but the bottlenose were over sandy shallow water right off the beach. It was a group of about 12, and they were tail-slapping at the surface. 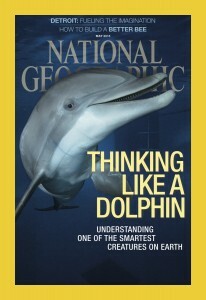 A bottlenose dolphin (Tursiops truncatus) surfaces with a distinct dorsal fin. Nicks and notches in dorsal fins, as well as coloration patterns and scars, are used for identifying individuals. 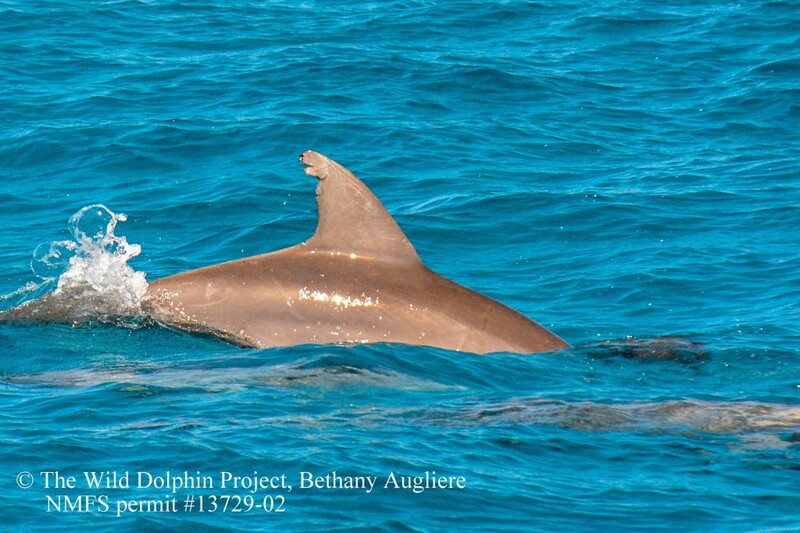 Many cetaceans (whales and dolphins) use the coastal waters of Southeast Florida. However, with little research there is a lack of information regarding species diversity, abundance, distribution and residency of individuals in this area. By expanding our surveying to the coast of Southeast Florida, The Wild Dolphin Project hopes to fill in the gaps. 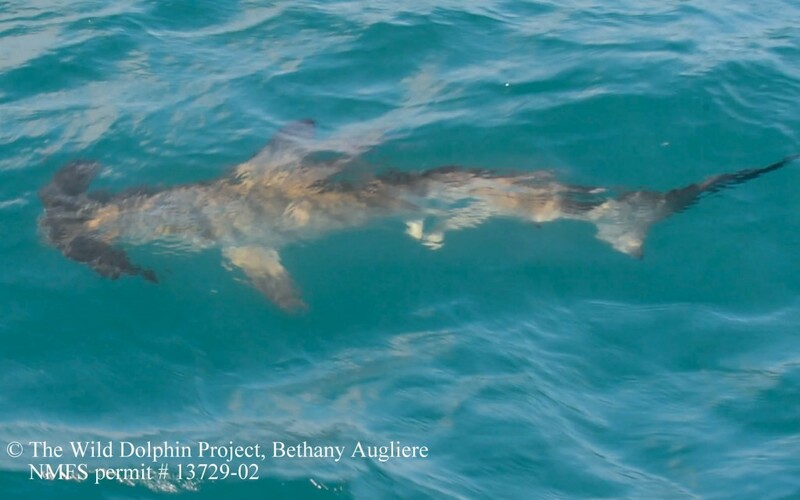 If animals are encountered, data such as species, location, time, depth, behavior, and group size will be recorded. Additionally, we will take photographs to begin identifying individuals. Nico shared information on your group with me. I had the question about the dolphins waiting for us. It was a great encounter. 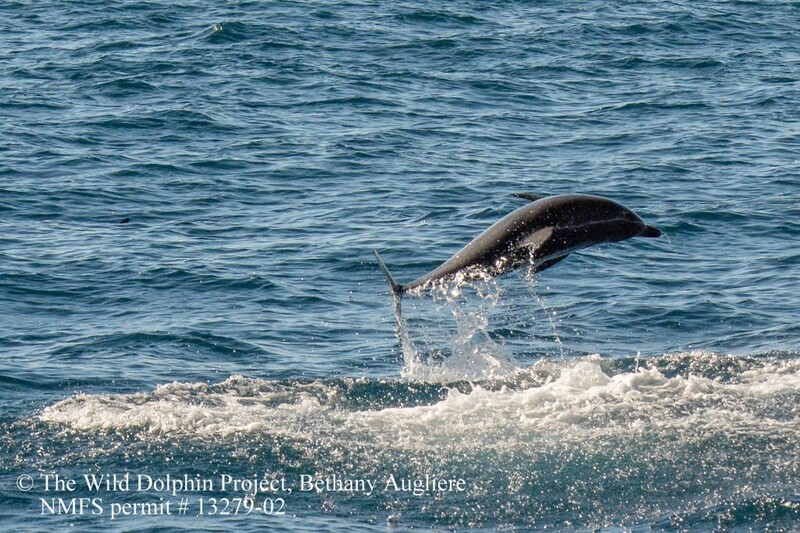 We have had a few on our sailboat and the dolphins seem to love to play in our bow wake. We have some photos if you are interested. This was a group a 9 spotted dolphins. We were about 4-5 miles offshore to begin with near Delray Beach. They stopped and waited for us when we tacked and then came in towards shore with us to about 1 mile from shore. Hi, I am a freshman at Abilene High School in Abilene Texas. I have been extremely interested in the wild dolphin program lately, and I know I have 3 years before I graduate but I would like to figure out how to get involved with the wild dolphin project whenever I graduate from my high school.